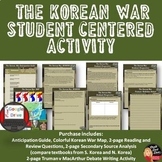 Korean War Reading (1 page) and Graphic Organizer (1 page). I left the reading in an editable format. 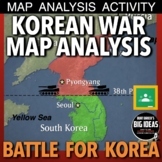 Korean War: Guided Notes for Korean War, 38th Parallel, Domino Theory, Cold War! 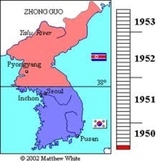 Ten crucial steps of the Korean War with picture clues. Print, cut apart a set for each student or each pair of students. 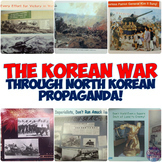 Students order the events using class notes and/or textbooks. 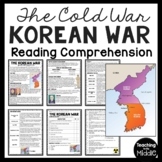 Summarize with a teacher check. Then glue down in order for review notes. Key included. 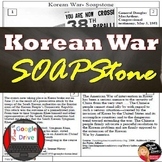 This is an interview with 2 American solders who fought in the Korean War. 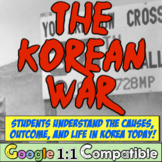 After the 2 interview there are 10 questions for students to answer. 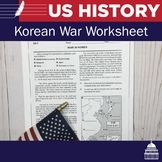 There is also an answer key to go along.